Psychological safety — in this case meaning a feeling of comfort in speaking out without fear of repercussion — is a commonality of high-performing teams. It’s also a critical factor in an employee’s ability to effectively give and receive feedback. Managers can create a safe space when delivering feedback by doing so in whatever format is most comfortable for the employee, practicing active listening, and opening up the floor for upward feedback. Rajeev Behera is the founding CEO of Reflektive, the leading people management suite for Performance, People Intelligence, and Engagement. Backed by Andreessen Horowitz, Lightspeed Venture Partners and TPG Growth, Reflektive has more than 500 customers including Blue Origin, Comcast, Instacart, Dollar Shave Club, Healthgrades, Wavemaker Global and Protective Life. The company was ranked the 13th Fastest Growing Company in North America on Deloitte’s 2018 Technology Fast 500™. 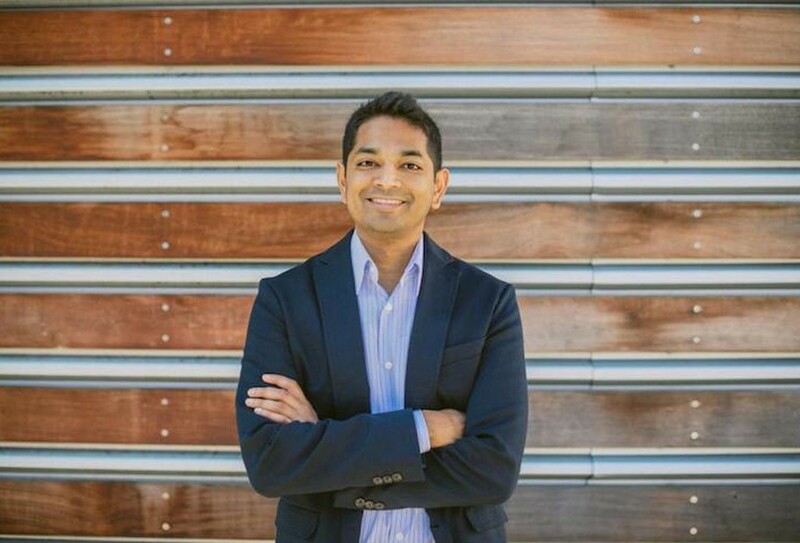 Prior to Reflektive, Behera honed his management skills leading a 100-person mobile application development studio at Disney Interactive, where he created two of Disney’s top 10 grossing mobile applications. He has previously held numerous management roles at startups and large enterprises. Behera earned a bachelor’s degree in Economics from U.C. Berkeley. For more information on Reflektive, please visit www.reflektive.com. Following its acquisition of Playdom, I ran Disney’s first free-to-play mobile gaming group, which my team grew from six employees and $0 revenue to $22.5M and 100 employees in 2.5 years. I learned so much about management in this position; it was one thing to manage game development, but the importance of true people management became undeniably clear to me. As the number of employees I managed continued multiplying, I found many flaws in the traditional performance management system, especially the annual review. When managers don’t invest time into building relationships with their employees, frequently giving them feedback, and helping them grow in their careers, the result is high attrition and profit loss. This revelation led me on a search for a tool that encouraged better feedback and more frequent communication between managers and employees. When I didn’t find anything, I created my own solution, Reflektive — the first people management platform that helps employees and managers work better together. Are you working on any exciting projects now? How do you think that will help people? At Reflektive, we recently announced that we are expanding our platform into a people management suite, which integrates our Performance, Intelligence and Engagement products into a single, cohesive ecosystem. I’m really excited about the impact this will have on our customers, who can now simplify their HR stack and access insights into personnel, performance and cultural metrics — which are all in one place with compelling visualizations and dashboards. The newest product in Reflektive’s People Management Suite is our Engagement tool, which allows companies to measure employee engagement with company-wide surveys and targeted polls using pre-built survey templates. It helps HR leaders instantly identify key drivers and detractors of engagement and track trends across the company and throughout the employee lifecycle. As a result, HR and business leaders can focus on strategic planning rather than slicing and dicing data. Ok, lets jump to the main part of our interview. According to this study cited in Forbes, more than half of the U.S. workforce is unhappy. Why do you think that number is so high? While the statistics highlighted in the Forbes study are largely disheartening, they are not surprising. This kind of insight is what led me to start Reflektive. In my opinion, the primary reason why employees are unhappy is because they are not engaged in their work. According to Forbes, engaged employees are typically involved, committed and enthusiastic, while disengaged employees are often described as checked-out, unmotivated and going through the motions for a paycheck. The most disengaged employees feel a level of unhappiness that drives their work and negatively impacts colleagues. A Gallup study that reveals 70 percent of U.S. employees are not engaged correlates with the fact that more than half of the U.S. workforce is unhappy. Based on your experience or research, how do you think an unhappy workforce will impact a) company productivity b) company profitability c) and employee health and wellbeing? When employees don’t particularly care about their work or feel connected to their company, their productivity suffers. In fact, according to Shawn Achor, author of the Happiness Advantage, a negative, stressed or even neutral brain is 31 percent less productive than a positive one. Gallup estimates that actively disengaged employees cost the U.S. $450 billion to $550 billion in lost productivity per year. With the average cost of keeping a disengaged employee at 34 percent of his or her salary, you can extrapolate what that might cost your company. In addition to decreased productivity and profitability, 54 percent of disengaged employees say their work-life balance has a negative effect on their health, and 51 percent see a negative effect on their wellbeing. All of this is to say that disengaged, unhappy employees come at an enormous cost for companies — and themselves. And what do unhappy, disengaged employees end up doing? Leaving the company. With unemployment rates near historic lows, the competition to keep employees happy and engaged is more intense than ever. Can you share 5 things that managers and executives should be doing to improve their company work culture? Can you give a personal story or example for each? You can’t fix a problem you don’t know exists. Meaningful problem-solving requires insight that can be gleaned from regular employee engagement surveys. These surveys are meant to uncover inconsistencies in the employee experience and measure engagement and morale at organizational and departmental levels. While an engagement survey is an important practice, the real value comes from how a company uses the results. Showing employees that their voices matter by acting on the data you receive is where the magic happens. Delivering timely, relevant, growth-oriented feedback is a critical component in motivating employees to do their best work. This is especially true for millennial and Gen Z employees, who grew up in an era of instant gratification and now make up more than half of the workforce. Ninety-four percent of employees would prefer their manager share feedback in real-time, and 74 percent feel they would be more effective if they had more feedback. The quicker an issue comes up, the faster an employee can adjust and grow. Real-time feedback has proven to be a critical ingredient in employee engagement, increasing productivity by 147 percent and reducing attrition by as much as 65 percent. Managers can also motivate and encourage good behaviors with real-time words of affirmation. While base pay increases, bonuses and additional stock options have their place, don’t underestimate the impact of positive recognition. At Reflektive, we are transparent in the way we highlight internal wins, promotions/transfers and high achievers. We have an internal recognition wall where individual and team accomplishments are celebrated, and we give out an “Extra Mile” award to those whose actions have been recognized for creating high impact for the organization. In my experience, these practices reinforce positive behaviors and encourage employees to become more engaged with the feedback process. I’m not the first and I won’t be the last to proclaim that the annual performance review cycle is dead. The antiquated approach to performance management is evaluative and impersonal by nature, while the check-in is lightweight, friendly and informal. At Reflektive, we recommend managers meet with their direct reports on a quarterly basis at minimum. Conversations in these check-ins should focus on accomplishments, professional development and goal alignment. A good management habit is to hold weekly one-on-ones, as they keep feedback dialogue going and contribute to a feedback culture. With this cadence, the quarterly check-in gives managers and employees a chance to have a more structured conversation about achievements and goals. It’s very nice to suggest ideas, but it seems like we have to “change the culture regarding work culture.” What can we do as a society to make a broader change in the U.S. workforce’s work culture? Managers tend to focus on compensation as a means to retain employees and keep them happy. However, there is a finite supply of money a company can pull from to give employees. Additionally, research suggests that after employees reach a certain pay grade, they don’t necessarily feel happier or more motivated at work. Receiving an increase in base pay typically results in a quick adjustment to the additional income and happiness that levels off over time. Instead of throwing money at unhappy employees, we should consider non-monetary ways to keep them engaged at work. This includes finding out what inspires employees and coaching them to harness their skills for growth. Dan Ariely, a behavioral economics researcher, believes people thrive more from a sense of purpose and progress than from happiness. In order to engage their employees, leaders need to understand the importance of creating an environment where workers care about what they do and feel cared about in return. Doing so has a better probability of creating happy, productive, and agile workers within your organization. My wife, who was once a disengaged employee, turned her own health scare — a complex ovarian cyst — into a thriving company that she sold to Boston Scientific last year for $275 million. She founded her company, nVision, immediately after college while working full time in the medical device space. Her goal was to help doctors detect early-stage ovarian cancer in women, a personal passion and a massive unmet need in the market. It wasn’t an easy journey for her to grow her network, raise venture capital or gain FDA clearance in a regulated industry — but she persisted. It also wasn’t an easy decision to sell the company, but she knew Boston Scientific would be the right partner to advance the product to where it needed to go. She identified and fearlessly pursued an innovation gap in women’s healthcare, and I couldn’t be prouder. Her seemingly endless supply of patience and determination, and her focus on the greater good, has inspired my own entrepreneurial journey. “Don’t compete with others; compete with yourself if you want to do something truly significant” comes to mind. It hits right to the core of Reflektive’s mission — to help people reach their full potential. You can’t do that if you’re also fiercely competing with them. Embracing a team-first mentality and helping others succeed will in turn positively impact you. To me, competing with yourself means setting goals that are meaningful to you and constantly seeking ways to grow, improve and measure against them.